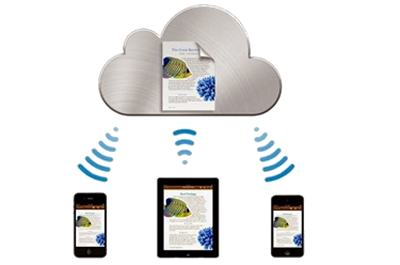 You want to restore contacts from an iCloud backup? There are three ways, but not all of them are recommended. Sometimes you have to give up something when you have not chosen the best way. Therefore, you should carefully read this article before you follow the steps of each path. We can use iphone data recovery software that allows us to see a preview of the contacts and retrieve it in 3 steps from the iCloud. All iPhone users can do it without any problems. Here you can download the iphone data recovery software. When you start iphone data recovery software on your computer, see the main recovery mode: Restoring from an iCloud backup file. Then you will see the program window as follows. You will be prompted to first log in to an iCloud account. Simply enter your Apple ID and password. It is absolutely secure. Aiseesoft takes your privacy seriously and will not store any information about your iCloud account. Just do it. 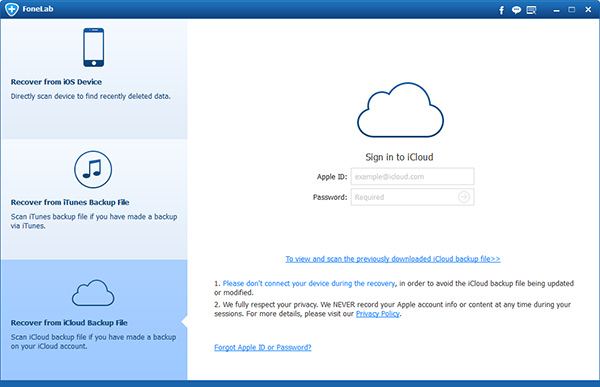 Once you are logged in, the program will load the iCloud Backup automatically in your account. Then a list of iCloud backup files will be displayed. Choose the one from which you want to restore contacts and click on the button under the status menu to download it. This download will take some time. Please stay connected to the internet and wait a moment. If the backup is downloaded, you will see that its status is marked as Downloaded. Then click on it and scan of the backup file will begin. The scan will extract all the contents from the backup and display them in categories. 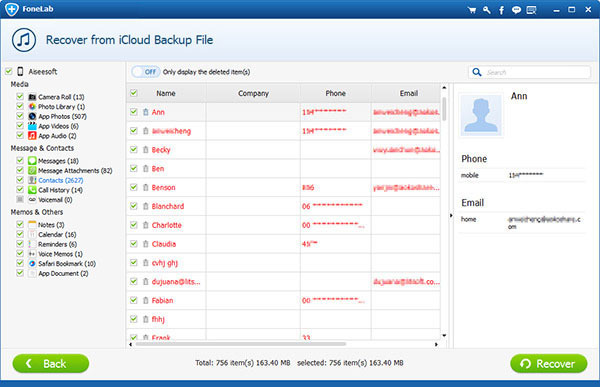 After scanning, you can view the data extracted from the iCloud backup in detail. Select contacts and then you can check each of them in detail. Put a checkmark in front of the ones that you want to restore and click the Restore button to save it on your computer. That's all. Now you restored your contacts from iCloud.